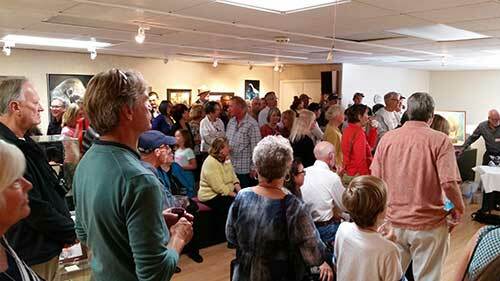 Welcome to the Morro Bay Art Association and its member gallery. Where we connect art lovers with artists. Morro Bay Art Association is proud to present, From Natural to Abstraction, an open, all media exhibit and Pottery by Jim Gregory. Abstraction indicates a departure from reality in depiction of imagery in art. This departure from accurate representation can be slight, partial, or complete, as abstraction in art exists along a continuum. Even art that aims for realism of the highest degree can be said to be abstract since perfect representation may be elusive. Concurrent with this exhibit, MBAA is proud to feature, fine artist, Jim Gregory. Jim earned a Bachelor of Art degree at Gambling State University where he became Gambling’s “White Tiger”, the first quarterback at a predominantly all black school. “I feel fortunate to have been a small part of the Civil Rights Movement of the late 60’s and early 70’s. This was a positive experience for me.” Jim went on to earn a Master’s degree at Oregon College of Education, now Western Oregon State University. Jim returned to the Central Valley to teach pottery at Reedley High School for 33 years and at Reedley Jr. College for 26 years as an adjunct faculty member. Jim relocated to the Central Coast where he makes pottery that is masterfully produced with horse hair for beautiful earth tones to raku with vibrant color. Come in to explore these stunning artworks that are both decorative and functional! 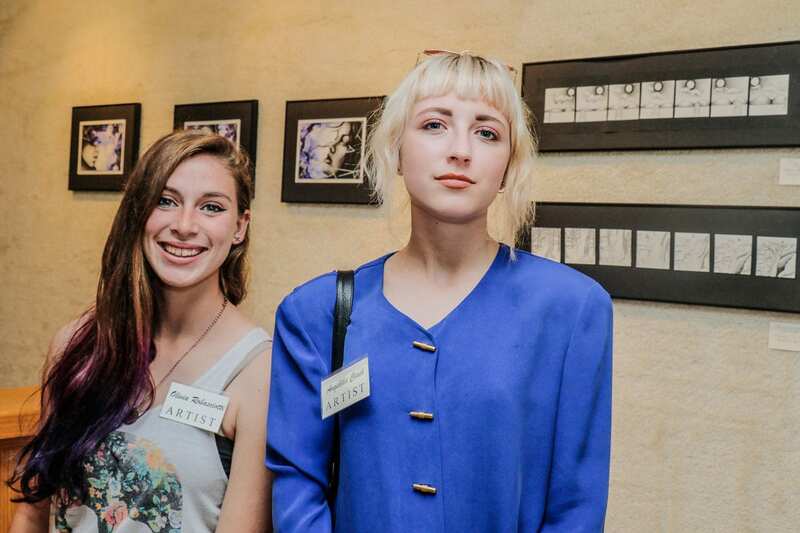 This exhibit celebrates artistic expression in all media. You will find a variety of subject matter spanning nature to total abstract. “From Natural to Abstraction” and Pottery by Jim Gregory will be on display from April 4 through May 13, 2019. Meet the artists at the opening reception Sunday, April 7, 2019, 2pm-4pm. This event is free and open to the public. Art Center Morro Bay is open from 12pm – 4pm daily. Morro Bay Art Association is proud to present a demonstration in, The Art of Fiber and Spinning with Nancy Weber. Hand-spinning is the art of twisting fiber, fleece, or roving of wool, silk, alpaca, angora, mohair, flax, etc. into a continuous thread by using a spinning wheel or drop spindle. Handspun yarn is used for knitting and weaving projects. By using a hackle, a steel comb that separates flax fibers, you can layer colors together before pulling through a diz and spinning. Blending boards are also used as a layering or mixing board. Blending boards are work well for creating layers of fiber and color to create interesting effects in the finished yarn. Nancy is an accomplished instructor of twenty-two years, designing and creating unique apparel with a large variety of hand-spun fiber. During this demonstration, she will show you how to use a Hackle or Blending Board to create roving into yarn of unique and difficult to find colors. Nancy will give you a hands on experience using her spinning wheel to create yarn. Don’t miss this opportunity for a truly hands on experience! During the Born in the USA exhibit, we are please to feature the art of Barry Lundgren! Don't miss this remarkable exhibit and the beautiful woodturner artwork of Barry Lundgren! Morro Bay Art Association is proud to present a lecture and video presentation of stone carving, by award winning artist, Carl Berney. This informative lecture will reveal the principal process that even a novice will appreciate and understand. Various mediums, materials and the use of tools will also be discussed. Carl enjoys the translucency that gives marble sculpture a visual depth beyond its surface that evokes a certain realism when used for figurative work. He also works with alabaster, limestone and bronze. These figurative sculptors that include felines and the abstract, address both the sensual and the spiritual. Carl studied sculpture in Pietrasanta Italy, near ancient quarries that had been opened up by Michelangelo. This experience inspired Carl to further his education and branch out into other mediums to include wood, plaster, plastic, terra cotta and bronze. Carl’s fine art sculptures are in collections throughout the United States. If you’ve wondered how to begin sculpting as an art form or would just like to see how it’s done, please join us for this interesting and informative lecture and video presentation. Students will receive an introduction to clay and learn how to make a pinch pot. They will learn the sculpture and texture techniques the will turn their pinch pot into a creative creature of their choosing. 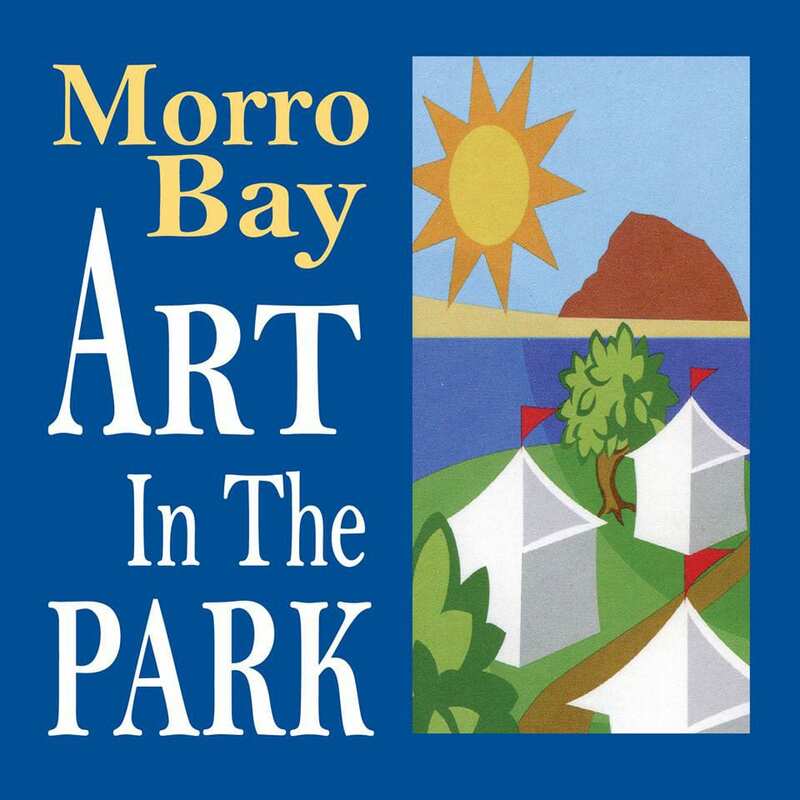 Morro Bay Art Association is proud to present, The Morros, a collection of paintings in all media and styles that capture the color and energy of Morro Rock and sister formations. 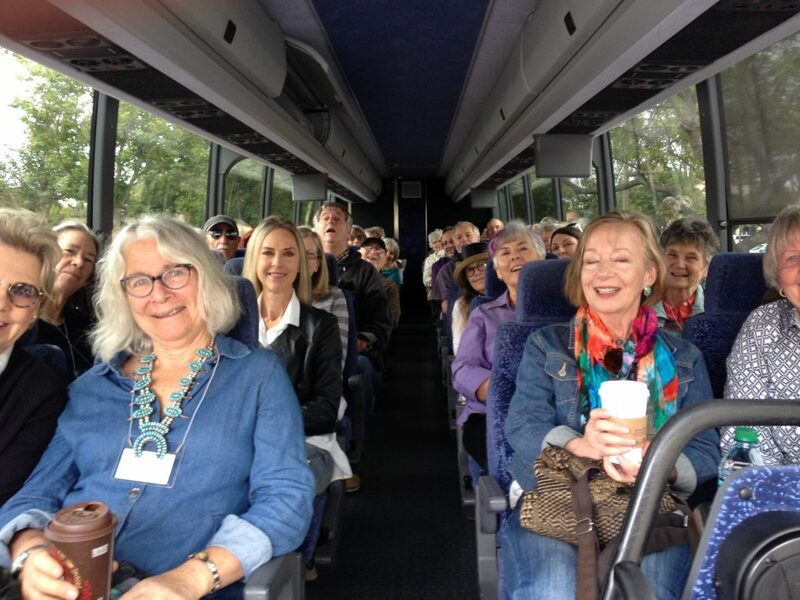 This event is a celebration of the Nine Sisters or the Morros, a chain of volcanic mountains and hills that span east from Morro Bay, through San Luis Obispo County. Locals will debate whether there are seven sisters or nine in this family of geological formations. In fact, there may be more than fifteen peaks belonging to this string of volcanic plugs. During this exhibit, Art Center Morro Bay will feature glass sculptor, George Jercich. George’s characteristic, hand blown glass sculptures, capture the spirit of Morro Bay and the Central Coast. George graduated from San Jose State University in 1984 with his MFA in Sculpture/Plastic Arts. He travelled throughout the USA, Europe and Asia seeking experiences in glass. He attended Pilchuck Glass School, the Interglas Symposium in Novy Bor, Czechoslovakia, participated in American/Thai Cultural Exchange Programs and co-instructed glassblowing at Ox-Bow Summer School of the Arts (SAIC). George, a member of Central Coast Sculptor Group(CCSG), is also the co-founder of the California Glass Exchange. George instructed glassblowing, glass forming, 3D design and sculpture courses at Cal Poly for over 35 years. The Morros will be on display from June 27 through August 5, 2019. Meet the artists at the opening reception on Sunday, June 30, 2pm-4pm. This event is free and open to the public. Art Center Morro Bay is open from 12pm – 4pm daily. Choose your project from the exciting selections such as a mosaic rock, a heart, a trivet, stepping stone, etc. All projects are super simple and perfect for a beginner. Everything is provided to complete the project including use of tools, the base piece, broken china pieces, baubles, glue, grout and instruction. Preregister at creativemetime.com or by calling Joan at 805-286-5993. Morro Bay Art Association is proud to present a demonstration of working with tiles to create mosaic garden stepping stones, wall hangings, trivets or repurposed furniture with mosaic tops. Mosaics are works of art created by using glass or ceramic tiles and grout to make a picture. They date as far back as 1500 BC and are all over the world. Mosaics adorn the ceilings in cathedrals with elaborate details or they can be found in a simple pattern on stepping stones in your gardens. With practice, you can create a custom mosaic all your own. Anne Hodges and Paula Hulet owners of Cracked Up Mosaic will be here to teach you step by step instructions in the creation of mosaics. Anne has worked in calligraphy and stained glass, focusing on mosaics for the last 10 years. She is a retired Montessori teacher and former owner of Bay Osos Montessori School in Los Osos. Paula has previously worked with fabric and decoupage but her love of gardening led her to collaborate with Anne creating beautiful mosaic pieces for her own garden and the community garden at Estero Bay United Methodist Church in Morro Bay where Paula Hulet is the Pastor. During this demonstration attendees will learn how to design and create a mosaic stepping stone. How to select materials, lay out a pleasing pattern, adhere the tiles to the base, and apply mortar and grouting. Join us, just in time for gardening season, for great ideas and techniques to spruce up your outdoors! Students will be studying the ART, Geography, and the Culture of Mexico through Literature, Videos (Technology), and the ARTS! Students will be creating “Day of the Dead” drawings & portraits and Mexican sombrero paper mace hats using oil pastels, paper and acrylics. Students will be studying the ART, Geography, and the Culture ofAustralia through Literature, Videos (Technology), and the ARTS! Students will be learning about the ARTS, Geography, and Culture of the people in China using the ARTS, Literature, & Videos (Technology). Students will be creating Chinese Ming Watercolor/Tempura Vases, Feather Dragon Puppets, and Chinese Acrylic Roosters. Morro Bay Art Association is proud to present Thru the Lens II. This juried exhibition is a collection of fine art photography, featuring gifted photographers throughout the Central Coast. We are fortunate to have photographer and instructor, Brady Cabe as judge for this celebrated event. Brady is a seasoned photographer who enjoys the outdoors. With both feet and tripod in the water, he captures wildlife, a sunset, or the Milky Way late into the night. His passion for photographing the night sky overflows into summertime astrophotography. Brady’s passion for photography has grown into sharing with others through astrophotography, sunset, and wildlife photography workshops. Teaching has caused Brady to reverse engineer everything he does. This process has guided his curriculum into simplified, step by step processes that make photography accessible for every skill level. Giselle Massey grew up in Los Osos, CA., where the Central Coast became a constant source of inspiration for her work. Her love of creativity and self expression blossomed into an art filled passion. Childhood summers spent outdoors in barefoot freedom have forever bonded her to the surrounding ecosystem. Perhaps it’s no surprise that the same plants and flowers she enjoyed during her childhood, are a recurring theme in her work. “One of my passions is to bring art into everyday moments of life with functional ceramics like mugs, planters, and bowls. I carve and texture nearly every piece I make, often leaving portions of clay bare as a part of the design to be enjoyed by hands as well as eyes”. Whether you are attending this remarkable exhibit to observe or to purchase, you are in for a delight! Thru the Lens II, an exhibit of fine art photography will be on display from August 8, through September 16, 2019. The opening reception is Aug 11, 2019, 2-4pm. This event is free and open to the public. The Central Coast Watercolor Society is proud to present their annual juried, water media exhibition, hosted by Morro Bay Art Association. This event is free and open to the public. Art Center Morro Bay is open 12 – 4pm daily. Morro Bay Art Association is proud to present a demonstration in wool-needle and wet-felting fiber art, by Debbie Gedayloo. During this demonstration, Debbie will engage participants in a lively discussion and hands on exploration of needle felting. She will give an overview of techniques used in wet felting, sculpture and fiber painting. If you’ve wondered how to create fiber paintings using wool and other fibers, don’t miss this opportunity to see how it’s done! Morro Bay Art Association is proud to present a demonstration of Zentangle© with certified instructor, Debbie Gedayloo. Debbie has practiced the art of Zentangle© for five years stating, “Often when sitting in meditation, I simply can’t quiet my mind and I bounce all over the place in my head. But, when I put the pen to the Zentangle© tile, the outside stimuli fade away and my entire being becomes quiet.” Debbie believes in the healing potential of this method and is excited to teach others how to tap into the hidden wisdom in each of us! If you are looking for a calming artwork that anybody can do and you've wondered how it's done, don't miss this free event. Morro Bay Art Association is proud to present it’s 3rd Annual Juried Exhibition, a National event. 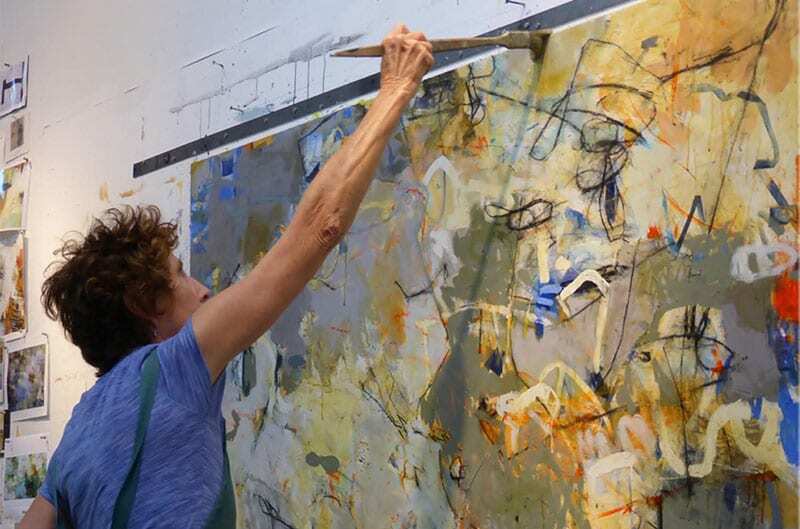 This juried event is a collective of exceptional paintings spanning the United States. Many of the artists are internationally acclaimed. In addition, MBAA will feature the three dimensional art of Guyla Amyx. We are fortunate to have award winning artist, Dennis Curry, as the judge for this celebrated event. Dennis Curry is a professional artist of international fame. Dennis served in the United States Army, 25th Infantry Division’s Combat Artists program in 1966 where he documented combat experiences from an artist’s perspective. Upon returning to the U.S., Dennis attended Santa Monica College where he learned original printmaking. He traveled to East Africa and co-founded Duma Safaris with a friend and publisher, Christopher Law. This life changing experience afforded him the pleasure of introducing others to the great game areas that forever influenced his love of nature. Following an introduction to the contemporary printmaking of Mylar Lithography, he founded Blue Berry Press, located in Cambria, CA., later becoming known for his work in the traditional, intaglio mediums of etching and engraving. 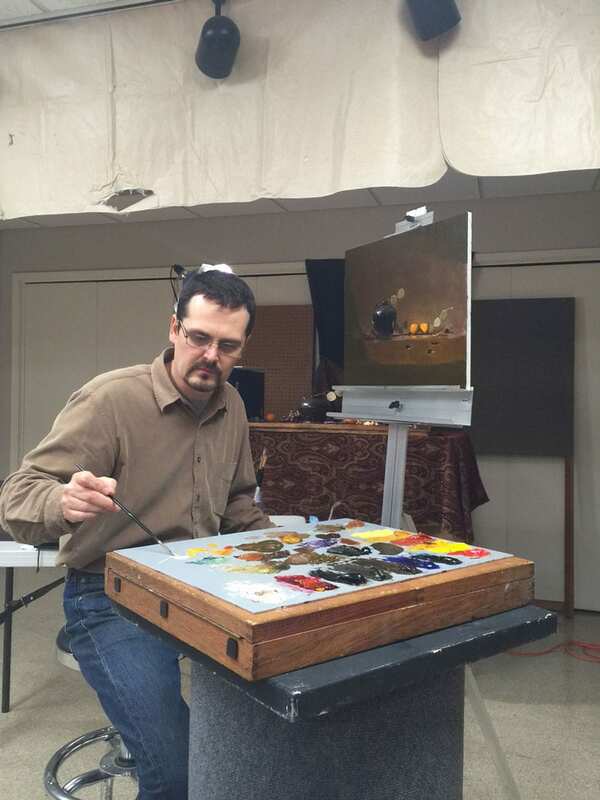 Later, moving away from printmaking and wildlife, Dennis began working in the more traditional medium of oil painting to capture the light and color of the landscapes on location and in the studio. Dennis has significantly contributed to conservation work around the world and his graphics are widely collected nationally and internationally. Dennis is a current member of Society of Animal Artists, Artists for Conservation and San Luis Outdoor Painters for the Environment. Guest Artist:�During this special event, we are proud to present the ceramic artwork of Guyla Amyx. Guyla earned a Bachelor of Fine Art degree from Eastern Washington University and a Master of Tine Art degree from Washington University. Guylas was a tenured professor at Cuesta Community College where she taught ceramic art for over 22 years and served eight years as the department chair. This exhibit celebrates the three dimensional work of Guyla Amyx and two dimensional, art work in all media of those artists accepted into this extraordinary exhibit. You will find a variety of subject matter spanning traditional landscape to contemporary and abstract. Whether you are attending this exhibit to observe or to purchase, you are in for a delight! 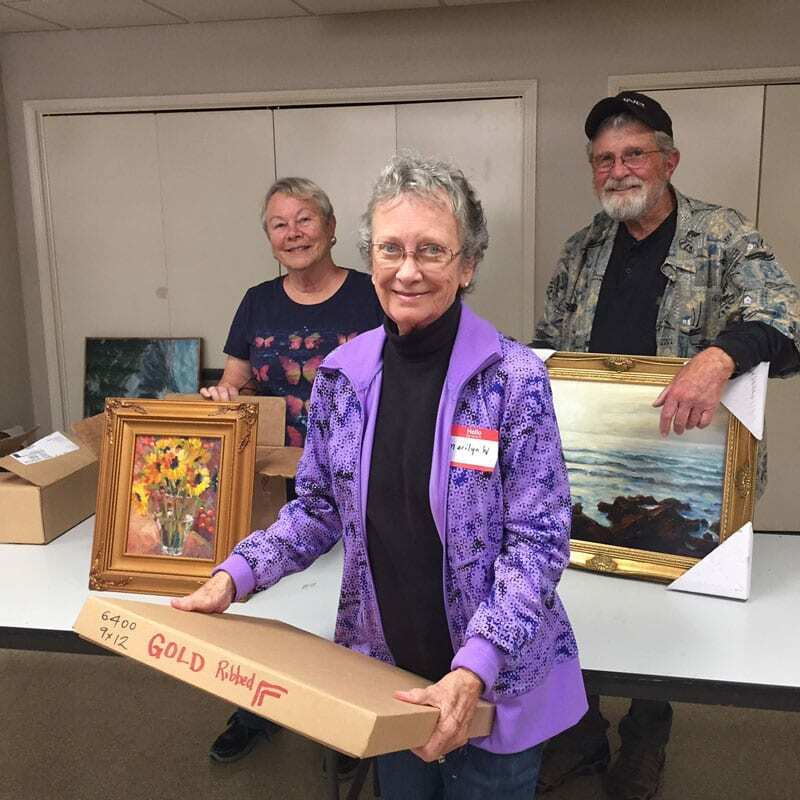 Morro Bay Art Association’s Annual Juried Exhibit will be on display from September 19 through October 29, 2019. A “meet the artists” opening reception, will be held, Sunday, September 22, 2019, 2-4pm. This event is free and open to the public. Morro Bay Art Association is proud to present a Documentary Film, "Exit Through the Gift Shop". An amusing, engrossing look at underground art. This British documentary film, is about and directed by Bansky, an infamous and shadowy graffiti, street artist. It tells the story of Thierry Guetta, a French immigrant in Los Angeles, who runs a vintage clothing shop, and his obsession with street art, and Guetta's eventual fame as a street artist himself, dubbed Mr. Brainwash. The film charts Guetta's constant documentation on film, of his every waking moment. It portrays a chance encounter with his cousin, French, urban artist, nic named Invader, to his introduction to a host of street artists, with a focus on Shepard Fairey and Banksy. Banksy’s anonymity is preserved by obscuring his face and altering his voice. Rhys Ifans narrates an overlapping documentary where the line between what is real and what might be fake blurs as modern art and celebrity are put under the microscope. The film premiered at the 2010 Sundance Film Festival on January 24, 2010, and was nominated for the Academy Award for Best Documentary Feature. Since its release, there has been extensive debate over whether the documentary is genuine or a mockumentary. Banksy is a graffiti artist with a global reputation whose work can be seen on walls from post-hurricane New Orleans to the separation barrier on the Palestinian West Bank. He fiercely guards his anonymity to avoid prosecution. He rose to prominence for his provocative stenciled pieces in the late 1990s. Balloon Girl, the image of a young girl letting go of her balloon suggests that innocence can easily be lost. Banksy is known to mock society and he implies through his artwork that society makes children grow old too fast. The stencil is originally accompanied by the sentence “There is always hope”, a positive message which suggests that no matter what happens there is always a hope for better days. Enjoy popcorn and a movie with us! Morro Bay Art Association is proud to present The Annual Winter Faire & Juried Craft Show, featuring some of the finest artworks on the Central Coast. This very special holiday event offers a collective of exceptional paintings, photography and fine crafts, spanning a variety of artistic mediums from traditional to contemporary. Crafts include fiber, wood, glass, sculpture, pottery, jewelry and more. Whether you are attending this extraordinary exhibit to observe or to find that perfect holiday gift, you are in for a delight! The Annual Winter Faire & Craft Show will be on display from October 31, 2019 through January 6, 2020. Meet the artists at the opening reception Sunday, November 3, 2pm-4pm. This event is free and open to the public. Art Center Morro Bay, is open from 12pm – 4pm daily. Morro Bay Art Association is proud to present a demonstration in ceramics, in Finding Inspiration in Whatever You Love by Giselle Massey. Giselle grew up in Los Osos, where the Central Coast became a constant source of inspiration for her work. Her love of creativity and self expression blossomed into an art filled passion. Childhood summers spent outdoors in barefoot freedom have forever bonded her to the surrounding ecosystem. Perhaps it’s no surprise that the same plants and flowers she enjoyed during her childhood, are a recurring theme in her work. During this demonstration, Giselle will engage participants in a lively discussion about ways to find inspiration in our environment, and share the process of her intricately carved designs and inlaid glazes. If you’ve wondered how to create functional ceramics that are beautiful too, don’t miss this opportunity to see how it’s done! As a prelude to his workshop, Guido will give a free demo!